Allergic reaction on face causes a lot of discomfort and is a cause aesthetic discomfort. The cause of edema can be determined by means of careful examination. A successful treatment will require patience and follow all recommendations of the doctor. It is important to know that a person's predisposition to allergies due to its heredity. A weakened immune system and vitamin deficiency often provoke the development of adverse reactions when entering a foreign protein in the human body. Allergic swelling of the face may be a manifestation of angioedema – severe pathological condition, which requires urgent medical treatment. Be aware that in a rapidly developing allergic swelling of the face used antihistamines in injection form ("Diphenhydramine", "Suprastin", "Tavegil") and hormonal drugs ("Dexamethasone", "Hydrocortisone", "Prednisolone"). In addition, allergic edema of the face can be removed by injecting under the skin of a solution of Adrenalin in a concentration of 0.1%. With less pronounced symptoms used tablets – claritin "loratadine", "Aerius". Remember that Allergy treatment is a long process. One of his methods is desensitization, which includes a range of activities aimed at reducing the body's response to foreign proteins. It consists in the introduction into the organism of small doses of the allergen, so that the response to it gradually decreases. Do not forget about the recipes of traditional medicine, which are often quite effective. Clean the skin using a sterile napkin moistened in kefir, sour milk or diluted sour cream. After this rinse the skin with boiled or distilled water, without using detergents. 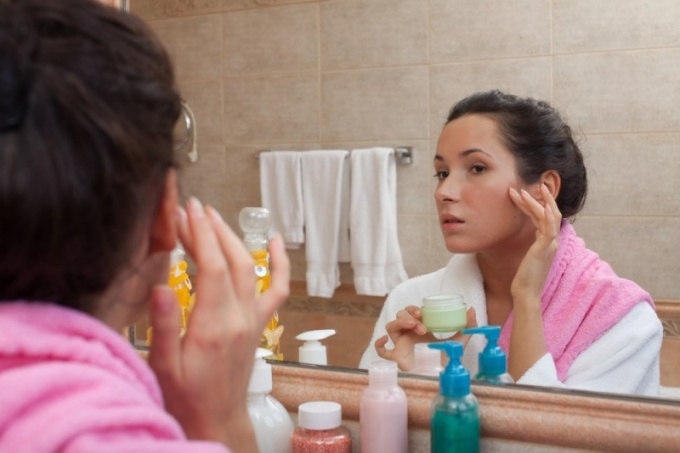 Put on your face lotion with a weak solution of boric acid (one teaspoon of powder per Cup of water). The Allergy does not pass, but the swelling is significantly reduced. In addition, you can perform washing with decoctions succession, sage, chamomile or conventional chilled tea, has a wonderful calming effect. Please note that these are particularly popular in allergic edema of the face in pregnant women. During this period, the treatment drugs should be minimized. And with the help of the gentle local effects of herbs is often achieved the desired result. Allergic swelling of the face, as a rule, testifies to the aggravation of the process. As a result of production of a large number of biologically active substances blood vessels become more permeable, which contributes to elimination of liquid component of blood in the intercellular space. When treatment allergic edema of the face it is necessary to exclude subsequent contacts with the allergen, as his continued exposure can lead to a worsening of the condition of the skin and body as a whole.